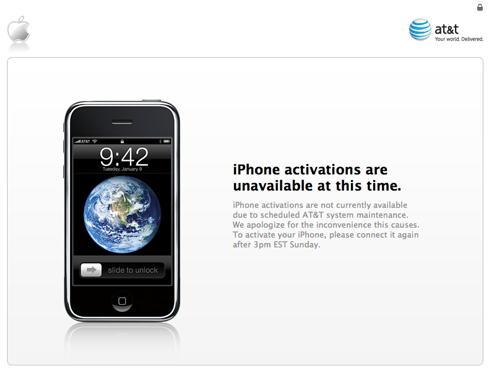 This morning I scheduled a Genius Bar appointment because the home button on my iPhone was defective. The Genius swapped out my iPhone for a new one (actually my third iPhone) and he told me that I needed to go back to iTunes to reactivate the iPhone for the third time. So, after reconnecting to iTunes, I am pleased to find this message inside iTunes. Could this possibly mean a firmware update is on the way?